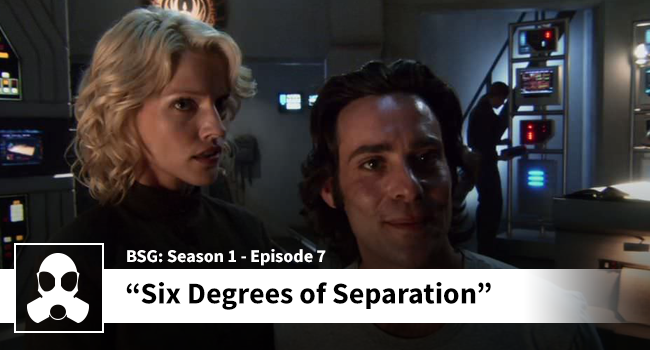 Dean finally gets what he has been waiting for: more Gaius Baltar. He’s been promising Matthew that Gaius is an interesting character, and Matthew is starting to see the light. The lads try to shed some light onto Gaius by evaluating him as a character. Is Gaius a man who has experienced an easy life because of his innate talents? Can he relate to Adama and the rest of the crew? Can Adama and the rest of the crew relate to him? Is Gaius a good person? Is he a bad person? How does he stack up against the rest of the crew in terms of value v. liability. No matter what the answers are – Gaius always provokes great discussion.